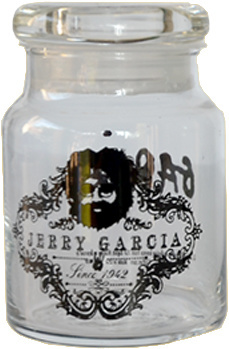 The first ever officially licensed Jerry Garcia stash jar! Great for dried spices, loose leaf tea, guitar picks, loose tobacco, medical cannabis, or small party favors/gifts. Or simply use it a accent piece for your room. This clear glass jar holds approximately 6 fl.oz. 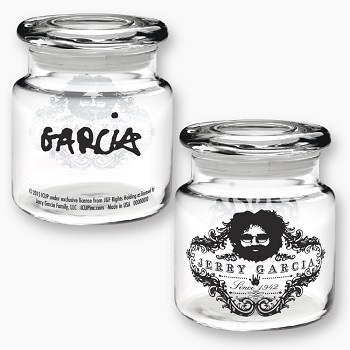 Officially licensed by the estate of Jerry Garcia.